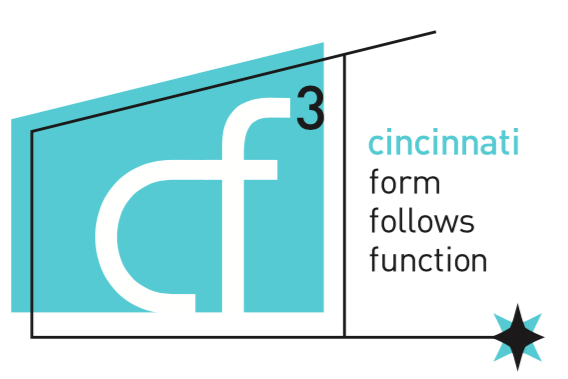 Rare treat for cf3 members only! A chance to see a genius work in progress. The Jose Garcia #celestialstreethouse in Mt. Adams is nearing completion and we have been invited to share it with you in its current state and (hopefully) again when it is complete and furnished this Fall. This new construction single family modern home is on the sight of the former Poetker House, a tired, down and out MCM with a spectacular view. Jose’s knowledge of zoning and building codes enabled him to fully maximize the site and views, and build a once in a lifetime masterpiece for a very willing and able client. In true Jose style, the mix of materials is dramatic, rich and inviting. Come with your mind open and questions ready to ask the architect, who will be there to lead our tour. Please note: The house is currently under construction, and we want to make sure everyone has a safe experience. Plan to wear appropriate attire and shoes (closed toe, no heels). It may be a little dusty since all surfaces are not yet complete. Some stair railings and balcony guardrails may not be installed at the time of the tour. We ask that eveyone in attendance maintains caution at areas incomplete and to please use sound judgement while touring the work in progress. Absolutely no one under 18 permitted. Because it is a construction zone, no food or drink will be served. We are excited to get this sneak peek opportunity and look forward to seeing you there! For more information on the house and to watch its progress, search #celestialstreethouse online and ‘like’ Jose Garcia Design on Facebook.